and so on. Having the best travel stroller that is compact and light weight is paramount in making the journey as easy as possible. 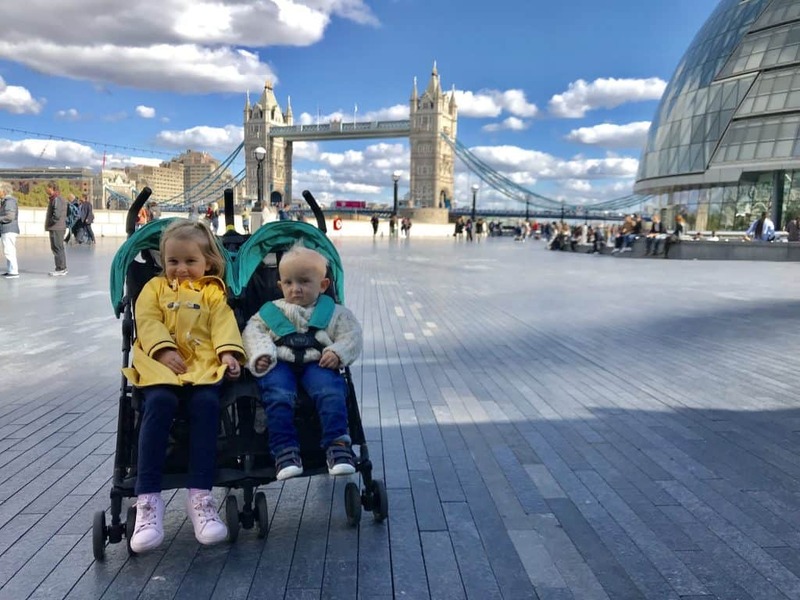 We have been in the very lucky position to have the opportunity to try a tonne of strollers for the purpose of review and have developed a good insight into what features work best. Each families needs will be different depending on how you travel. 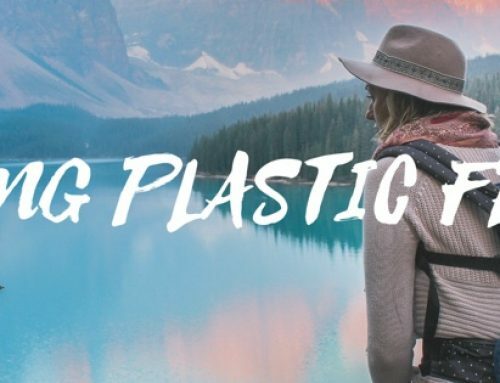 Whether it’s a long road trip and you want to save space in the boot, or if you are travelling by air and want your stroller as soon as you step foot off the plane, I have something for you here! I’ve listed and reviewed the most light weight and compact options, whether it folds into a backpack or fits under your seat on a plane, I have you covered. 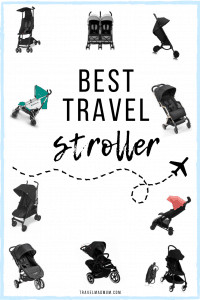 With a little help from my travelling parent tribe, here are the best travel strollers in 2019!! I spoke with a group of travelling mums who told me about their individual stroller and each gave me a review summarised in a paragraph. You will see each opinion is honest and informative with the pros and cons. My personal contribution is the Mountain Buggy Nano and the Britax Holiday Double that you will find alongside the others. I hope it helps you in choosing a stroller for your adventures! Contribution from Big Brave Nomad. 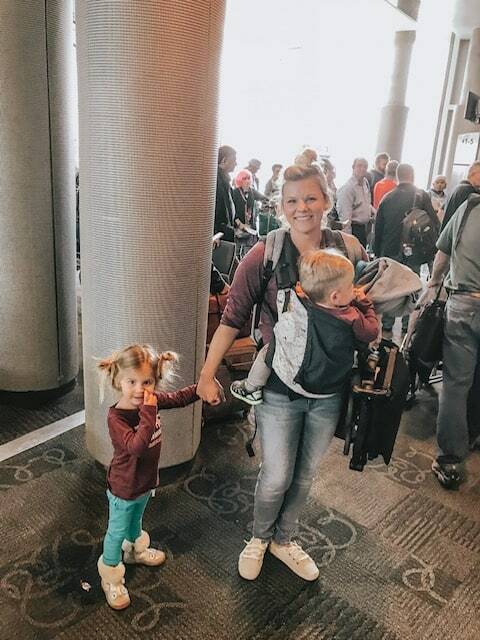 came crashing into the family travel industry, boxing out every other travel stroller with it’s extremely compact fold, durability and light weight. 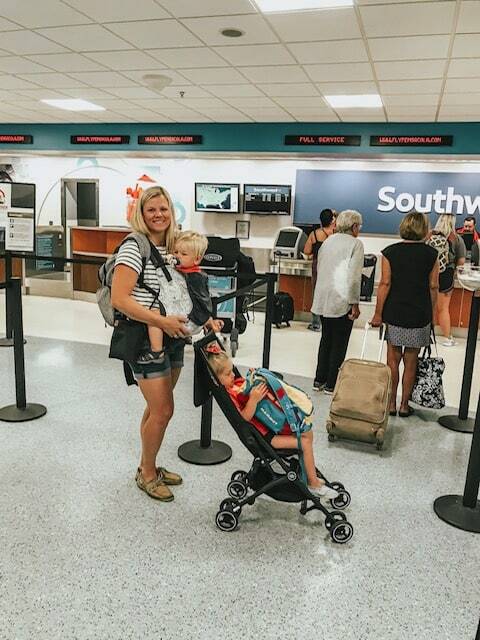 Parent’s love this stroller because it makes plane travel and public transportation a breeze by folding small enough to fit under a seat or easily in your lap. Not only can you push an infant over 6 months (that sits on their own), but the stroller is rated up to 55 pounds and has a tall enough back to accommodate a 5 year old. I have put my 2 & 3-year-old both in the Pockit and easily pushed it from point A to point B (That is almost 70lbs of weight). 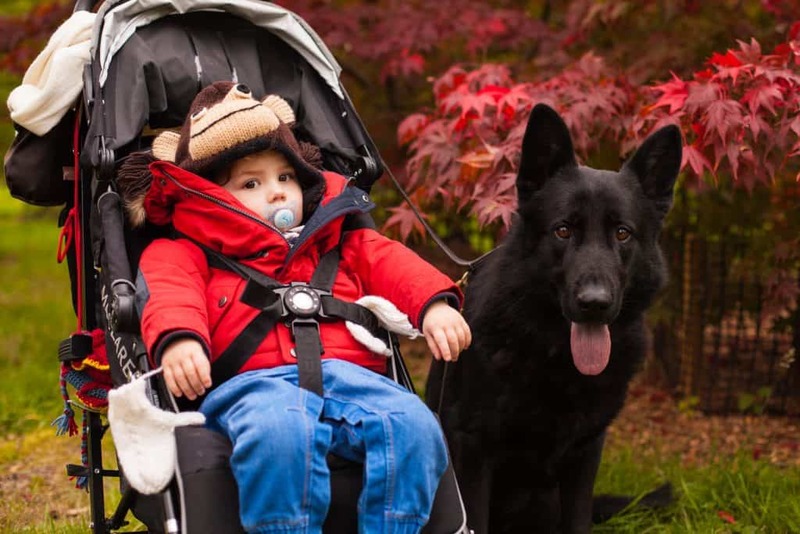 The benefits of this stroller outweigh the few drawbacks. As a parent who often travels alone with two toddlers, I need a stroller I can handle with one hand. The GB Pockit’s handles are made for single handed maneuvering. This stroller weighs only 9.5 lbs, so it’s extremely easy to carry when folded. Another perk is the front wheels can either swivel 360 degrees for super easy maneuverability or they can lock in place for more rough terrain. is that it folds down to 11.8” x 7” x 13.8” which is incredibly tiny. So tiny, in fact, it won a Guinness Book World Record for most compact stroller. This stroller EASILY fits under the seat in an airplane, or in the overhead compartment of a train. This means, no more gate checking your stroller! 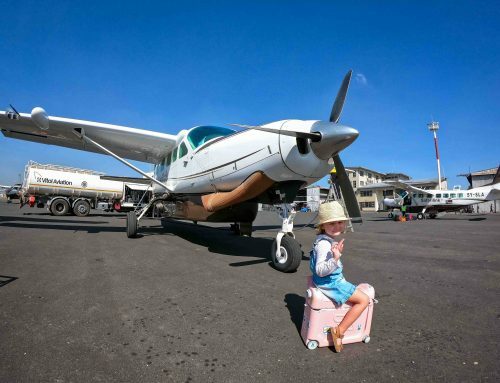 Bring it on the plane with you and you don’t have to wait on the bridge after your flight! If you can believe this, the GP Pockit stroller DOES have an under basket. The basket is rated for 11lbs and is easily accessed from the front or back of the stroller. The basket is perfect for a small diaper bag or jackets. 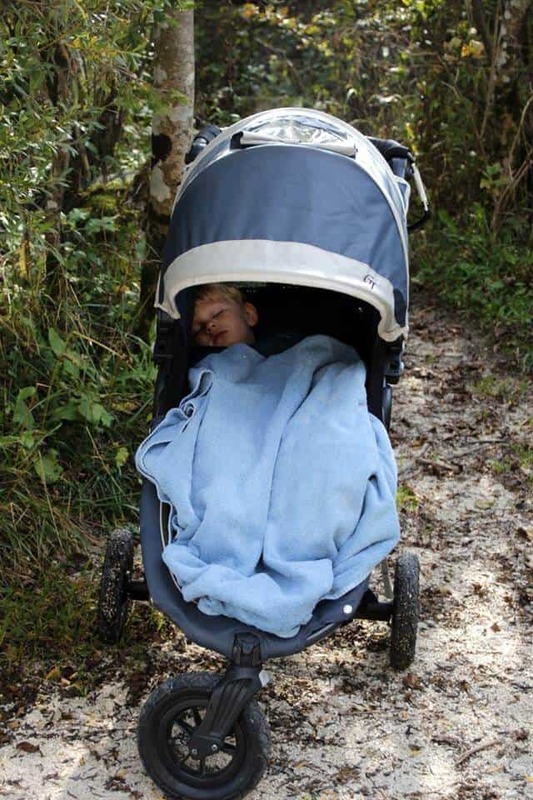 , but it could be frustrating for parents wanting their child to sleep in the stroller. The stroller also has a bit of a quirky fold. The first few times I tried it, it took me so long to get it folded down the entire way. However, after lots of trips and lots of practice, it has become second nature. so baby could lie down comfortably in the early stage. A stand out feature was the fact it could house a car seat to help us during those arm breaking moments. We could put our car seat and baby into the stroller allowing us to be hands-free and concentrate on luggage and the ever running away toddler.
. It’s essentially a scooter come buggy board that is perfect for an older sibling. I love the fact the Mountain Buggy free rider has two functions and can integrate with the travel stroller. I don’t know how many times I’ve see a parent with two kids trying to carry a scooter and toddler, whilst also pushing a stroller. Another necessary feature for us was the comfort and recline for the all important nap. As you can see from my photo, it goes back enough for a comfy sleep and has some nice padding to make it soft. It also comes with a snooze and sun shade. Likewise it has a cover that makes it look like a suitcase when its all folded down. The fold is easy and having it so compact for flights meant we could put it in the overhead locker if we wanted. Similar to the GB Pockit, the fold is initially difficult but once you get the hang of it’s totally fine. Contribution from Pack More Into Life. Finding the perfect stroller can be quite the task, especially as a new mom. The internet can lead you down a rabbit hole of suggestions and price points. 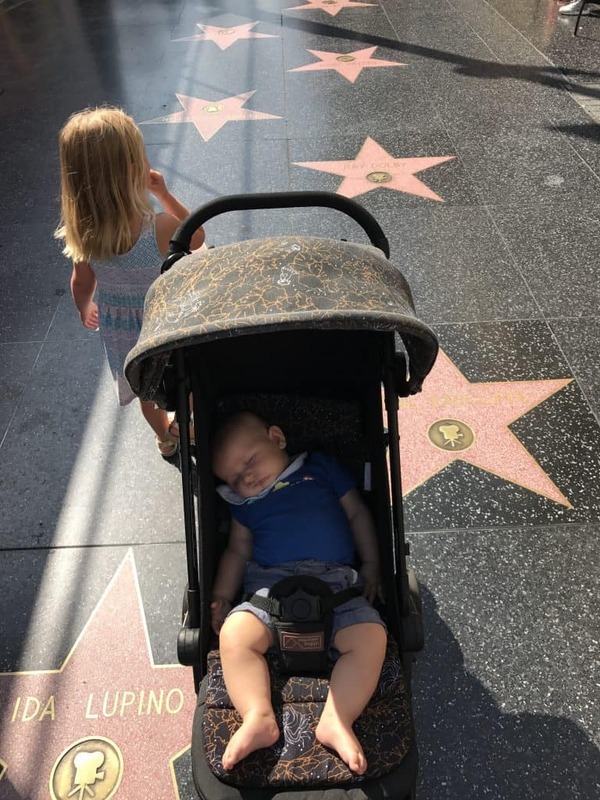 Luckily for us, we had lots of friends with kids and I worked as a babysitter and nanny, so I knew which things I liked and disliked about strollers. We ended up choosing the Baby Jogger City Mini GT and absolutely loved it for all four years of use for my son. for cold weather travel and more. We purchased the padded travel bag and never had an issue with anything being broken or damaged when flying. Not to mention we stuffed in all sorts of extra diapers, wipes, and blankets into the bag. Another favorite part of the stroller was its ability to grow with my son. Even at four years old and the size of a five-year-old, he could comfortably sleep and ride. The large cover kept him safe from wind and sun. I wouldn’t hesitate to recommend the Baby Jogger City Mini GT to any family who travels frequently and wants a stroller that is built to last. Contribution from Otis and Us. travel stroller and love it. It is extremely light weight – at less than 12.3lbs/5.6kg it is great for transportation, travel and general day-to-day use. The stroller has a super compact fold that is incredibly easy to put up and fold down, you can do it with one hand. A great feature is the telescopic handle that pulls out like a suitcase. The stroller has a five point harness with removable straps and pads which I love as they are easy to clean if needed. The stroller also comes with a great water-resistant travel carry cover that zips around the folded pushchair and a rain cover which we are yet to test out! is my top choice for the ultimate travel stroller. 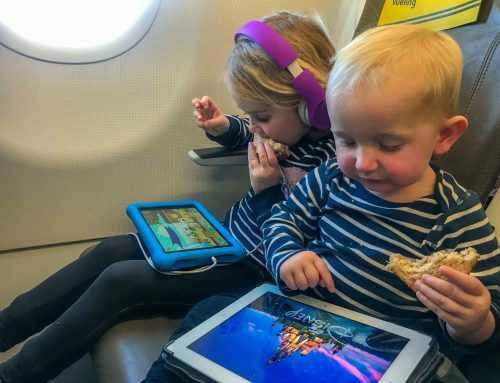 As a minimalist traveler, I have made peace with the fact that traveling with kids involves more gear. Still, I carefully consider each item I bring along and make sure it will make our travels more seamless. This meant no stroller as I preferred wearing my son in a carrier so I could freely explore and not have to gate check my full-size stroller as a bonus. Many people have multiple strollers at home but we live in a condo in the city so we don’t have the luxury of extra space. and never looked back. Initially, the main selling point was size. I loved that I could take it onboard as carry on luggage and even wheel it down the aisle to our seats. When at home, I could conveniently store it in our small coat closet- it comes with a storage bag but I don’t really bother with it. The way this stroller works is you purchase the frame and then customize it to your needs. I read reviews praising the various color options but that wasn’t a selling point for me as I always go for black anyway. still remains compact. Despite the small size, you don’t sacrifice comfort. Both my kids love riding in it as it does not feel like a flimsy stroller where riders experience every bump. An included generous sun canopy and rain shield keep kiddos comfy in all types of weather. And aside from having to carry a big grocery haul home, the Babyzen Yoyo has now become my go-to at home, thanks to the decent storage for a stroller of this size. Contribution from Passport & Adventures.
. Our main reason was it was an umbrella stroller and was a one-piece buggy. comes with a sun hood, rain cover, two pockets on the back and a small storage space underneath the seat. There are two handles which have adjustable height to two settings. Handy if you are a couple where one of you is 5 feet 2 and the other is 6 foot 1.
will replace it. They replaced ours free-of-charge. There is also a carry handle for ease of transport once folded. You can fold the stroller one-handed if needed, but it’s a skill. 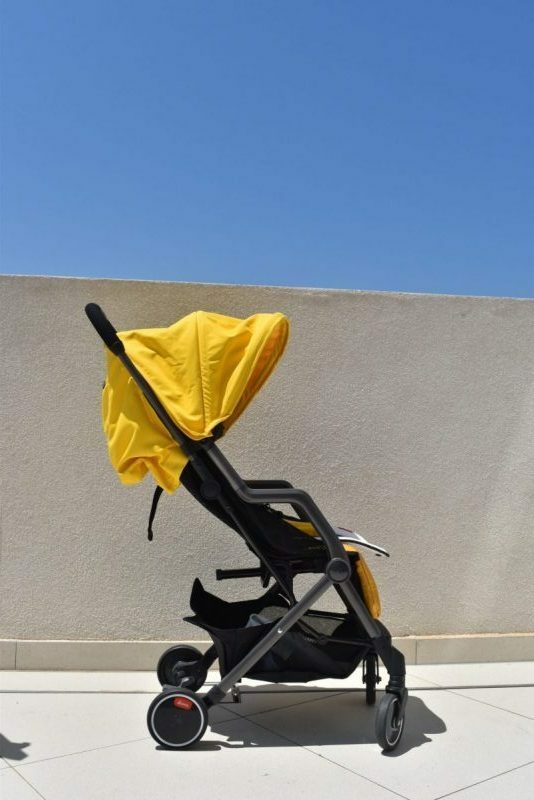 The hood unzips to provide additional protection for your child from the sun and the stroller is suitable from birth upwards. In the latest model of the Techno XT there are 4 reclining seat positions and an additional head hugger. 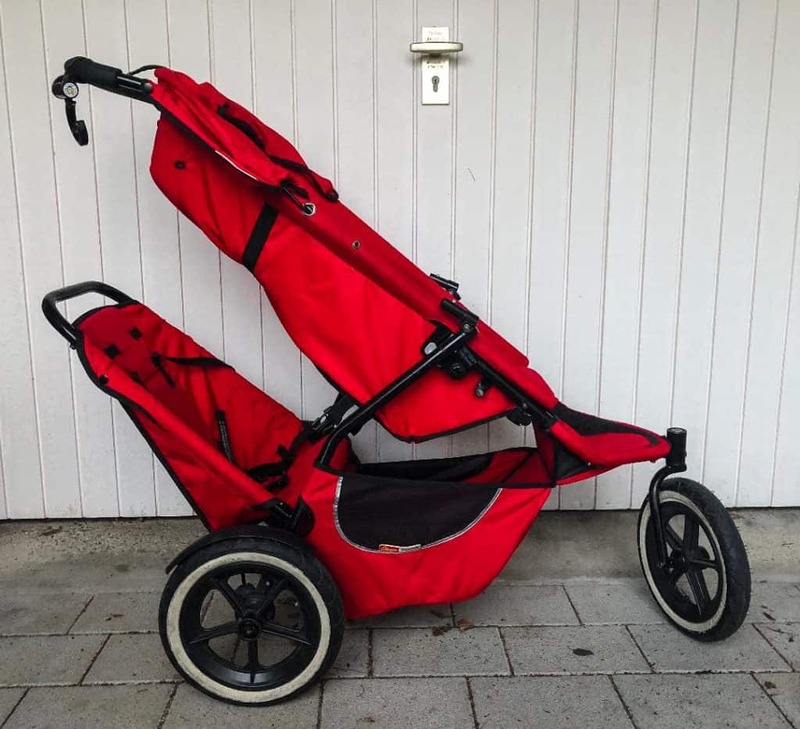 The rain cover is included, something which can be an added extra with some strollers and has brilliant clip holes to clip onto the stroller to keep it in place. The leg rest extends to provide additional comfort and the wheels are lockable or can swivel. They also have reflector hubcaps and can handle uneven terrain pretty well thanks to the four-wheel suspension. Although cobbled streets can be a bit bumpy, on smoother surfaces it is a comfortable ride for babies and younger children. We used this stroller for our son between the ages of 6 months and 4 years, and it was by far the best investment we made. Once we had bought it our travel system never got used again. It has travelled from the UK to places such as Slovenia, France, Ireland and New York. For us, it was the best travel stroller on the market and one we wholeheartedly recommend. Contribution from The Elusive Family.
. This stroller has been life changing for travel from cobblestone streets in Paris, to winding hills in Germany to the high curbed streets of Chicago. Lightweight, easy to fold and super smooth, this stroller is a great compact travel stroller. If you have two children, this stroller will provide you with even the most stubborn child enjoying the ride. With a main seat in the front and the ability to attach a secondary seat in the back, it provides two ways for children to sit. You have the ability to take a baby and toddler, with both kiddos front facing, and safely strapped in a 5 point harness system! in quickly and easily insert a car seat. A variety of adapters are available depending on which car seat you have. The tires are all terrain and are surprisingly resilient to any bumps you encounter on your walks. It’s even very easily to maneuver with one handle (if necessary) since the tires all work together to ensure smooth handling. The under seat storage area has an option for the fabric to clip down and is large enough for a bag or two of groceries and even a child’s feet to rest in! The foot break extends across the whole stroller and is super easy to press down. Finally for travel, a strap closes the stroller together which allows for easy carrying anywhere and anytime. The Britax Holiday Double stroller has to be one of the most compact on the market. It folds up so small and can also be worn as a backpack. At only 9kg in weight, its easy to carry around when the kids aren’t using it. Most of the time, both of our kids are running around the place and only want to sit in the buggy when they are feeling tired. It’s so handy to be able to pack It up and wear it as a backpack rather than pushing it around with no kids in it! It’s really easy to navigate, the only shortfall is it does not recline very far. The Britax Holiday also comes in a single stroller. you can purchase separately that will keep your stroller and it’s components safe while flying. Despite my children being on the older side (3 and 6) we’ve used this stroller a ton while traveling. It’s especially nice to have after we’ve had a busy day of hiking, sight seeing or skiing and the kids just want to relax, but we want to continue to walk around town and explore. The UPPAbaby G-Link is a versatile stroller that we have found to be well worth the hefty price tag. 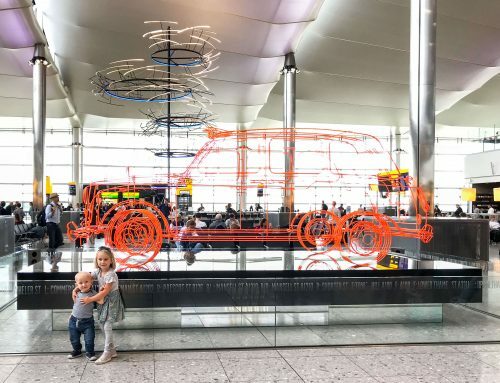 I have never considered using a wagon as a way of getting my kids around whilst travelling. However I have seen a number of families using them for festivals and outdoor adventures. Surprisingly they fold up pretty small, so in theory could be used passing through an airport or on holiday. I haven’t personally tried the Creative Outdoor Wagon, however, I really like the look of it. My older girl is starting to outgrow most double travel strollers but she is still not that keen on walking long distances. The wagon looks like the perfect alternative for two kids that are above the weight limit for the stroller. Some of the wagons have a pop up canopy for sunny days. This post contains affiliate links. By using them we get a small commission at no extra cost to you.